Madonna. Andy Warhol. Keith Haring. Fab 5 Freddie. Debbie Harry. Julian Schnabel. Jean-Michel Basquiat's transition from the subways to the chic gallery spaces of Manhattan brought the artist into the company of many of New York's established and aspiring stars. Basquiat's subsequent success and rapis assimilation into the world of stardom coincided with the new ca$h of the eighties that flooded the city, and it soon became apparent that he was unwilling and unable to deal with the tempations and demands that his new fame brought. In 1987, at the tragically young age of twenty-seven, the most successful black visual artist in history died from a heroin overdose. With a simplicity that belies both Basquiat's work and life, Jennifer Clement delivers a tender and poetic exploration of the artist and more specifically, the relationship with his muse, Suzanne. There union follows the path of other singular couples in the history of art, such as Frida Kahlo and Diego Rivera, and Lee Krasner and Jackson Pollock. The result is a distressing, yet deeply moving account of a love that strove to flourish under intense outside pressure. 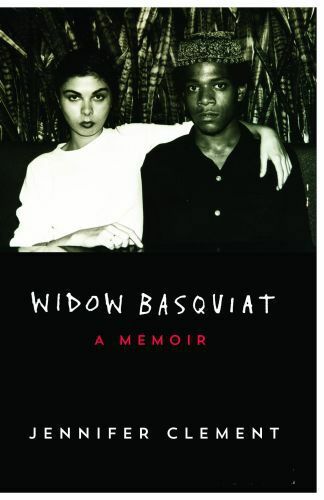 More than a biography, Widow Basquiat is a testimony.his increasing income and spiralling drug taking.